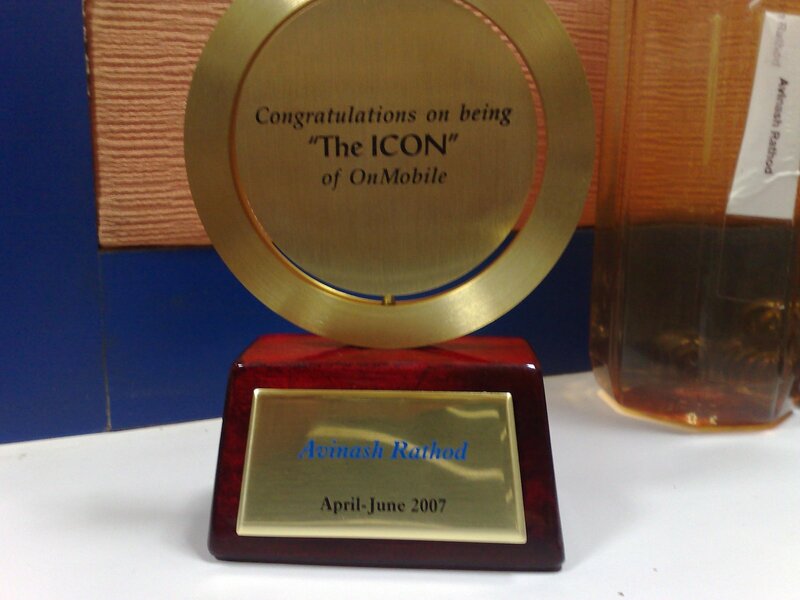 I work for OnMobile Global Ltd.
My N95 rebooted twice after upgrading v20.0.15. Cause 1: I just unplugged my headphone while listening to radio and tada reboot. 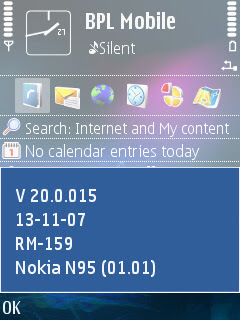 Cause 2: Was trying if the headset for 5310 works for the N95 , wanted to check if I can change radio with that button. I put the headphone jack and tada reboot. Tried several times to reproduce the thing but worked fine then. Anyone faced the same issue? But indeed the bootup is zappy, stability improved, keypress bug not encountered yet, snapping photos is faster, n-gage looks good, moving around in gallery is faster, camera application starts faster, button for last snap taken (next to cam) opens up the gallery faster, search is on the active screen now but don't know if I will ever use it. I was outside Mumbai and GPRS wasn't working, I started the Maps application for the first time after upgrade. Trying to exit the app just hung the phone. Needed to restart. This happened twice. Back to Mumbai and with GPRS works fine. I just realized I've touched the 200 mark of my postings. Will post more about it later. Generally I dont read articles which span more than 15-20 lines but I found this 3 page article rather interesting.It covers various mobile platforms like Symbian,Windows and even Android. Also talks about technologies like Blue-Ray disk, gps and Flash. 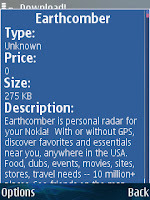 Its time to plug the N95 everyday to the NokiaSw Updater for a check. Made a difference at workplace? Have you made a difference at your workplace with some witty activity. Then post your story here and stand a chance to win the latest E51. This is the first catalog I've really liked. Although I always go for free stuff, something like iRemote is worth buying. I am now using iRemote to control my TV, its a trial version now but I think I will buy it. I impressed my in-laws yesterday when their car's audio players remote wasn't working and the iRemote came in handy ;). I've spent a lot buying a new TV remote every 6-9 months, dunno why I always drop my remote and never my mobile. I tested the iRemote for the 3rd Edition on the E50 , and it works just fine. The setup is pretty simple check it out here , download it here. 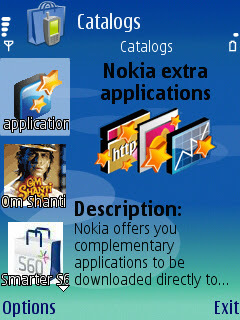 This is some challenge Nokia has put together for all the technology freaks out there in India. Its a reality challenge where 4 shortlisted people will be monitored by cameras in a room for 3 days. One who doesn't get eliminated gets a grand prize and the title Nations resident Technoholic and the 4 shortlisted get an N81 each. 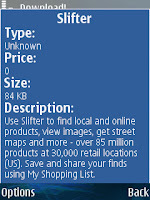 'Download' now includes two applications Earthcomber and Slifter, both targeted for the US market. N95-1 users , guinea pigs? There's an interesting post on ForumNokia, it says that N95-1 users have been used as guinea pigs and after they reported all the features needed in this phone in which hey have put their hard earned salaries Nokia came out with N95-2. Checked out the petition url and was surprised to see 200+ people already signed it. But it seems that the guy is right in a way, N95 does come close to what low-end laptops come now a days. There are people who would just buy another phone and there are people who must have waited and saved their salaries to get their dream phone, the N95. I am one of the earlier people who got the N95 , I am with version 12 now and I surely know that with v13 the keypress bug will be gone and there will be lots of improvements. But what about that wobbly slider. A friend of mine who just bought the N95 does not have it, in fact he bought it even cheaper. I really hate the wobbly slider, if I would've dropped my phone and had the slider gone wobbly I wouldn't have minded it much. But it came that way. I really really hate it. I also wish the battery was better. I think I should sign the petition too.